Automatic egg tray machine is an ideal investment project. 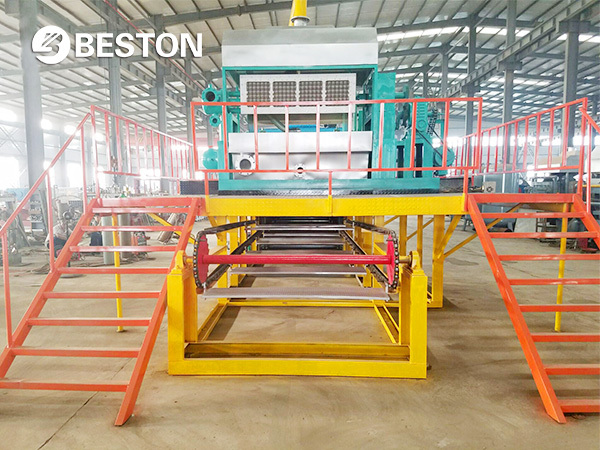 Now Beston Machinery has manual, semi-automatic and automatic egg tray making machine for sale. And the fully automatic egg tray production line is very popular among investors for its high automation, great working efficiency and easy operation. 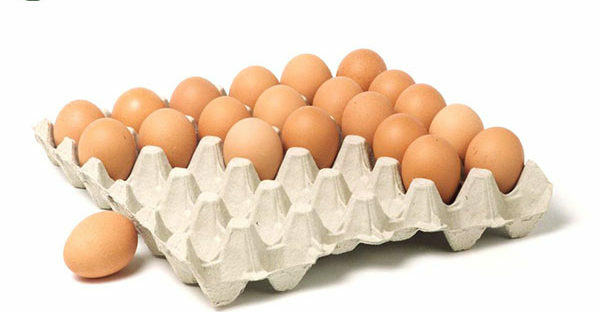 Moreover, we can customize egg tray manufacturing business plan to meet your requirements. Welcome to contact us! We often use “egg tray machine” to refer to the entire egg tray production line in a broad sense. It generally consists of pulping, molding, drying and packing systems. The pulping and molding systems are performed by machine mostly. While the drying and packing system will decide the automation level. In theory, all models can be automatic. Here are the hot models of Beston Machinery. Turning waste paper into pulp products is basically accomplished by machine. In addition to automatic pulp forming machine, we also equip automatic cleaning, drying and packing devices. The maximal output of an automatic egg tray machine can be 6000 pieces per hour. Easy operation and low labor intensity. In an automatic egg tray production line, machines do the most work. Moreover, we have constantly improved the security. As a result, it is safe and simple to handle each unit for workers with clear operating instructions. Independent adjustment for optimal performance. Each system can be provided individually in accordance with the needs and local conditions of customers. Capable of operating on different specifications without any loss in performance. Our designers will govern each system legitimately to keep the quality and productivity of our automatic egg tray machine. With the rapid development of technology, the machine is widely used during working to reduce labor intensity and enhance efficiency. As time requires, Beston has devoted to producing automatic egg tray machine for many years. Through improving the drying devices and packing equipment, we endeavor to make the complete production line more automatic. The first great difference between semi and fully automatic egg tray machines is the drying system. In terms of the automatic egg tray manufacturing line, we employ a conveyor belt to transfer the wet products into the drying room. While in a semi-automatic egg tray production line, wet products are manually placed on the racks for natural drying. In general, it takes 2-3 hours to dry the egg trays under good weather. After drying, there is a counter and a packer at the end of the conveyor belt to pack the egg trays up automatically. It is advantageous in lessening the investment costs and increase production efficiency. While if you have a small or medium scale industry, you can pack the egg trays manually. It is also easy to operate. Semi-automatic and manual egg tray machine is the commonly employed to save the investment costs. Customers can choose different modes based on their specific conditions, like the weather, the products. We can partially or completely supply the related equipment as you need. No matter which one you would like to choose, we can promise that you will get the top-quality egg tray machine at the most reasonable price. Here is a video about our BTF-4-12 automatic egg tray machine. Moreover, the high-end moulded pulp products are demanded to reshaping with the use of a hot press. This procedure is often performed by workers. Here is a video for you. What Can Beston Machinery Provide? In addition to the egg tray making machine, we have more types of pulp molding equipment for egg carton, fruit trays, shoe trays, etc. The energy consumption and labor force are largely influenced by the automation level. It explains why these related parameters for semi-automatic and automatic egg tray machine are different. But there is no need to worry about that since our designer will give you the most appropriate solution in detail. 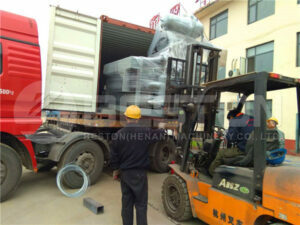 Of course, you will get the best egg tray machine price from Beston Machinery. We offer a great variety of paper egg tray machine with different specifications at a reasonable price. 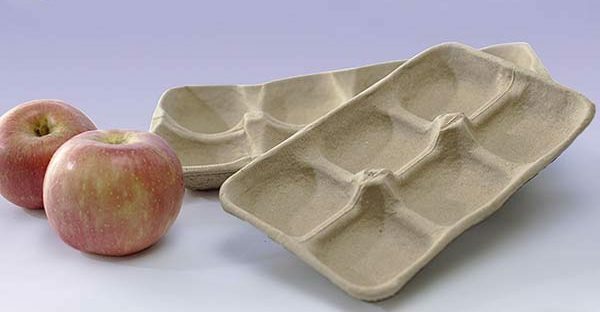 The egg tray manufacturing industry is booming with the widespread application of pulp molded products. The pulp molding production line has advantages of high production, low costs, and easy operation. Therefore, it obtains a keen interest from investors soon. For example, the hourly yield of an automatic egg tray machine can reach up to 9000 pieces with less than 750 kilograms of waste paper and 6 workers. Taking the costs of the labor force, raw materials, etc., together, it is obvious that the return on investment is very appreciable. On the other hand, pulp molding is also supportive of the government and the public since it can recycle waste paper without pollution during the whole manufacturing process. As a professional egg tray machine supplier, Beston Machinery has introduced a highly sophisticated technique. For one thing, we go in for increasing the operating efficiency and cutting down the energy consumption. For the other thing, we focus on developing a series of automatic egg tray machine. On the basis of the superior products, we also try our best to offer the most cost-effective solution for our clients. As the workflow shows, there are four systems in a complete egg tray production line. They are pulp making unit, molding system, drying and packing systems. These systems are independent and interoperable. Beston is a qualified pulp molding machine manufacturer, which will provide you with automatic and cheap pulp molding equipment. Moreover, we have different drying and packing systems to choose from. If you are considering to start an egg tray manufacturing business, welcome to contact Beston! We will offer you the best products and full service!